Today's guest post comes from Kelly at This Ain't the Lyceum. 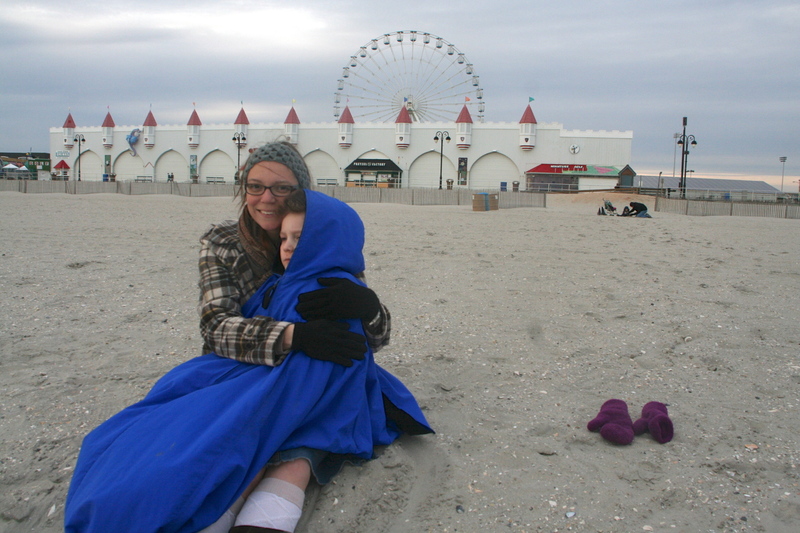 Along with having a son named Fulton (that's him huddled on her lap in the picture below) Kelly is also the winner of "Best Underappreciated Blog" from the 2013 Sheenazing Awards, so she's obviously already got tons of Sheen cred. Kelly is a homeschooling mom of 5. She and her husband enjoy beer, bacon, and life in New Jersey. Her blog is hilarious and she takes the best pictures in all of blogistan. ALSO! Kelly is celebrating her 35th birthday by running seven 5Ks to raise awareness and money for Spinal Muscular Atrophy. Two of Kelly's boys have SMA so it's a cause close to her heart. If you would like to support Kelly (maybe as a special Advent alms?) you can read more and donate here. Although it is hard to imagine today, Advent has always been a mini-Lent. A time of fasting and preparation for the Feast of the Nativity. However, the Church has thoughtfully arranged a number of feast days throughout December to keep the excitement building and give reason to celebrate during an otherwise cold and dreary month. Mixed amongst the more familiar feasts of St. Nicholas and St. Lucy is a unofficial feast which my family has taken to observing; December 9th, the day of Venerable Archbishop Fulton Sheen’s death. Traditionally, when saints are canonized, their feast day is instituted on the anniversary of their death, or birth into eternal life. Although he is not yet an official saint, our family has great devotion to Sheen. He has left behind a plethora of written and recorded work, some of which is perfect for incorporating into Advent and Christmastide. Plus, his American roots make a pilgrimage a viable option for many. Fulton Sheen was born Peter John Sheen on May 8, 1895 in El Paso, Illinois. He grew up in the Peoria diocese and was ordained a priest on Sept. 20, 1919. He furthered his studies at the Catholic University of America and the Catholic University of Leuven in Belgium before his assignment to St. Patrick’s Parish in Peoria. There he served for nine months before returning to Washington DC and Catholic University to teach philosophy. He was consecrated a bishop in 1951. ‘The True Meaning of Christmas’ is a wonderful picture book our family enjoys. 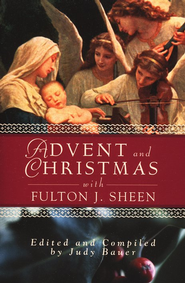 ‘Advent and Christmas with Fulton J. Sheen’, edited and compiled by Judy Bauer. With daily reflections, Sheen can lead your family through Advent and up to Candlemas. Free talks by Sheen can be found at http://www.bishopsheen.excerptsofinri.com/. None of these talks are specific to Christmas but provide solid background in the Catholic faith. An extensive list of Sheen’s radio talks are available for purchase at fultonsheen.com as mp3s or as an ap for iPhones or on android. 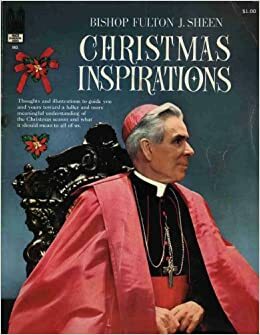 On YouTube, a quick search for Fulton Sheen Christmas will bring up several clips from his long running ‘Life Is Worth Living’ TV show. The series ‘Sawdust Brains’ is about Christmas. You’ll have to watch to find out what he’s talking about. The Archbishop Fulton Sheen Foundation has also released a one hour movie, “Archbishop Fulton J. Sheen; Servant of All”, featuring interviews, pictures and video. There’s even information on how to arrange a showing of the movie for your parish or other group. Why not make a December 9th a social event with a movie showing, popcorn and a discussion afterwards? 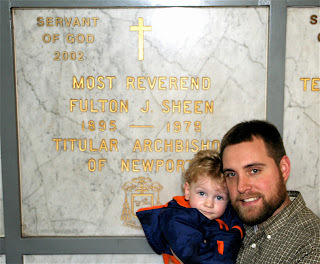 Our son and my husband in the crypt at St. Patrick’s, New York in 2009. So between the Jesse tree ornaments and St. Lucy buns, I invite you to make time for one of the 20th centuries greatest Catholics. Sheen has made it easy for us by leaving so much wonderful material to pull from. Be the first generation to celebrate what will hopefully become as widely loved a feast as any in December. And now please join me in praying the second day of novena for Sheen's canonization. Loving this Bonnie. Thanks for making the novena tie-in so well. Your posts are my daily reminder! I heard about SMA on a different blog, but I've been cautious as to support their cause since it sounded as though the family advocated for gene therapy and selective abortions. It's nice to know there are families out there who believe in the true gift of life and trusting God's work in their lives. Thanks for sharing! Lauren, the four charities I'm running for give money directly to families raising a child, or children, with SMA. I struggle myself with giving to larger charities who focus on research, knowing full well they support embryonic stem cell research in addition to the problems you mention. I feel like #35K4SMA was the best way to give back to the SMA community without compromising my Catholic principles.